STEPHEN H. SULMEYER, J.D., Ph.D. is a lawyer, clinical psychologist, mediator and collaborative coach in Marin County, California. He received his undergraduate and law degrees from Stanford University, and his doctorate in psychology from the Institute of Transpersonal Psychology in Palo Alto, California, where he has taught as a member of the adjunct faculty. As a mediator, Steve combines his legal, business, and psychological sophistication to help individuals and organizations resolve disputes, enhance personal and organizational excellence, and harmonize their innermost values with their worldly aspirations. His unique background enables him to assist parties to identify and work with, rather than shy away from, the underlying psychological obstacles that are often the real barriers to the resolution of conflicts. Steve’s dispute resolution work covers a wide range of subject areas including family and divorce, business/commercial, intellectual property, employment/workplace, discrimination, partnerships, insurance, personal injury, and community matters. 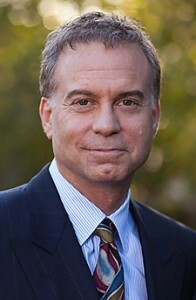 Steve practiced law in the areas of intellectual property and complex business litigation for over 18 years before devoting his legal practice solely to dispute resolution. He is admitted to practice law before the United States Supreme Court, the Federal and Ninth United States Circuit Courts of Appeal, the United States District Courts for the Northern and Central Districts of California, and the courts of the State of California. Steve has been practicing as a psychotherapist since 1999. His theoretical orientation is existential-analytic, which is a blend of contemporary, interpersonal psychoanalysis (which tends to focus on the depths of patients’ psyches and histories as illuminated by the therapeutic encounter) and existential-humanistic psychology (which tends to emphasize key human concerns such as aliveness, authenticity, meaning, maturation, and mortality). He wrote his doctoral dissertation on the psychology of meaning, and specializes in helping people find more meaning in their lives and work. Steve also has a second-degree black belt in Aikido, a Japanese martial art that emphasizes the resolution of conflict through harmony of body, mind, and spirit. Steve is a trainer both in psychology and in various modalities of dispute resolution, including mediation, collaborative practice, and integrative mediation. Steve is also the co-founder (with Judge Verna Adams) of the Marin Superior Court’s interdisciplinary settlement conference program, in which mental health professionals and lawyers trained in dispute resolution team up to assist judges in settling cases. He is also the founder of Integrative Mediation Marin, a practice group dedicated to integrative mediation, which teams up mental health professional- and attorney-mediators in a conjoint mediation model in family law, elder, probate, and civil cases. Steve is a former chairperson of the Marin County Bar Association’s Alternative Dispute Resolution Section, and a member of the Association for Dispute Resolution of Northern California (ADR-NC), the Association for Conflict Resolution (ACR), the Association of Family and Conciliation Courts (AFCC), the International Academy of Collaborative Professionals (IACP), as well as numerous legal and psychological organizations. He serves on the mediation panels of the Marin County and Alameda County Superior Courts, the First District Court of Appeals of the State of California, and the United States District Court for the Northern District of California.